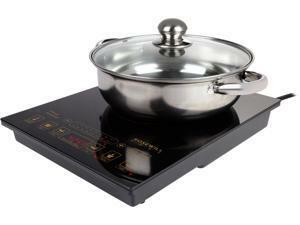 Features: 8 Power levels (in Watts) from 300 to 1800: 300, 500, 700, 1000, 1200, 1400, 1600, 1800 Polished Crystal Plate Surface LED Large Screen Display, 4 Digits 8 Temperature Settings from 150 to 450 degree F: 150 degree F, 200 degree F, 260 degree F, 300 degree F, 350 degree F, 400 degree F, 425 degree F, 450 degree F Golden printing Three-Hour Timer Setting Touch Control Panel Cookware Suitability Detection Stainless Steel Pot included Overheating Protection function Test Magnet included, to test your cookware work or not with Rosewill Induction Cooktop Stainless steel pot Pot opening size: 10.83" Pot bottom size: 7.60" Pot depth: 3.54"
Features: Nesco PIC-14 Portable Induction Cooktop - The Nesco Portable Induction cooktop is user-friendly and energy efficient. 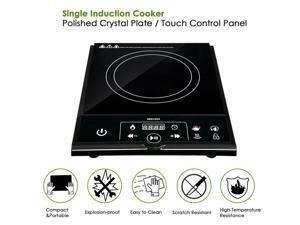 Its smooth, ceramic glass top wipes clean with ease. 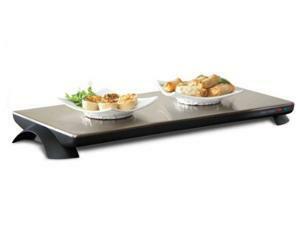 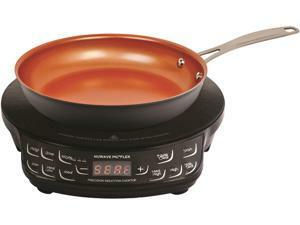 Five different modes with instant temperature adjustements makes cooking virtually fail-safe. 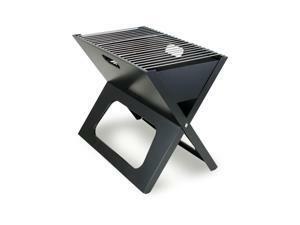 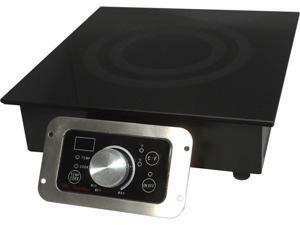 And, because the heat is generated in the pan, not the element, less energy is wasted than with gas or electric stoves. 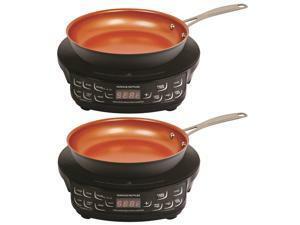 Use it in dorm rooms, offices, RVs, outdoors or in the kitchen. 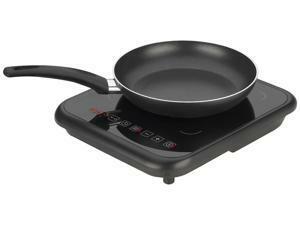 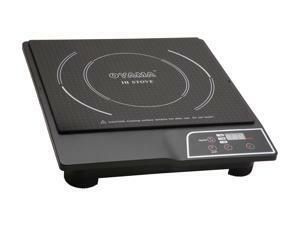 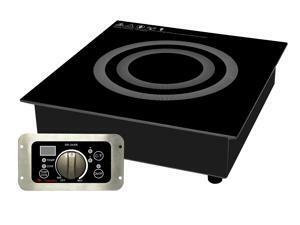 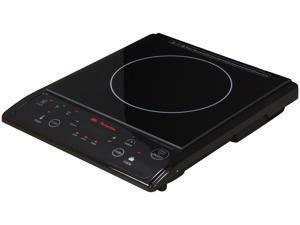 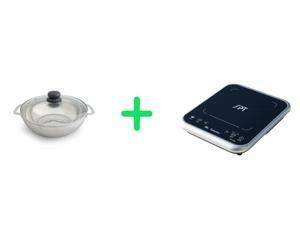 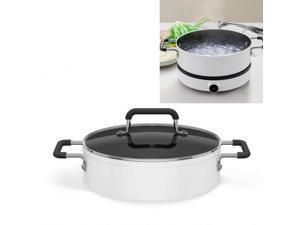 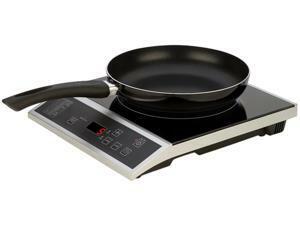 1500 watts, instant temperature adjustments 5 touch controls: melt/wamr, simmer, boil, fry and sear, durable ceramic glass top Top energy efficiency: 36% more efficient than gas stoves, 13% more than electric, safe - cooktop doesn't get hot, comes with test magnet for ferrous metal cookware. 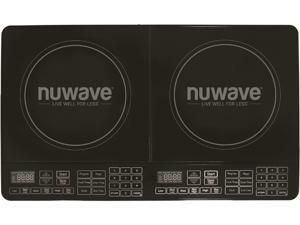 Features: Powerful 1800 Watts Portable, Safe, and Convenient Fast and easy Operation Unique Modern Design Touch Control Six (6) Preset Temperature Settings Cook by Wattage or Temperature Full Range Temperature Control (Adjustable between 140 to 460F) Timer (2 Minutes 59 Seconds) Cookware Compatibility Sensor Auto-Shutoff Safety Sensor Easy Clean-Up **Cooking Pan Not Included** PRODUCT IS PACKAGED FOR PARCEL POST SHIPMENT Dimensions: 4.5" H x 14" W x 17.25" D Weight: 8 lbs. 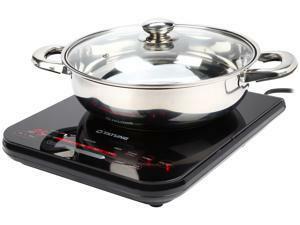 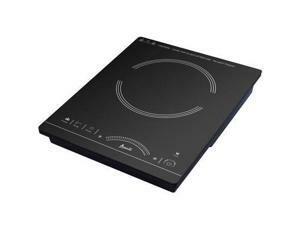 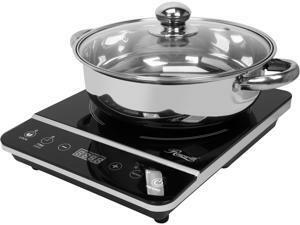 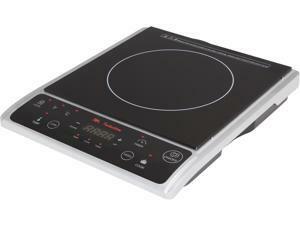 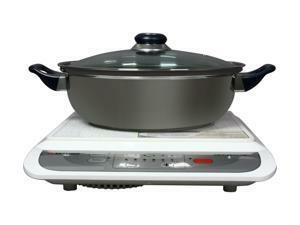 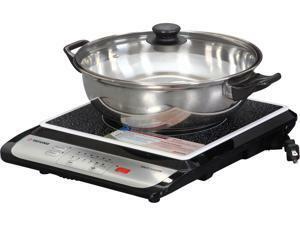 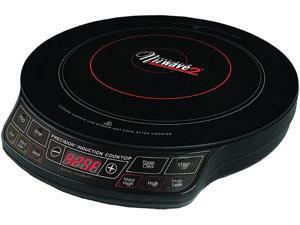 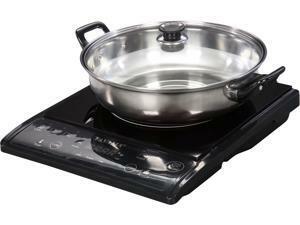 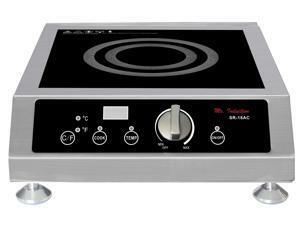 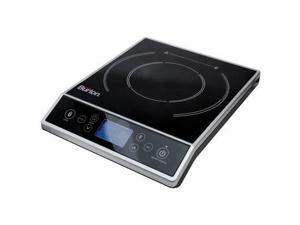 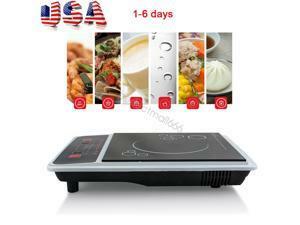 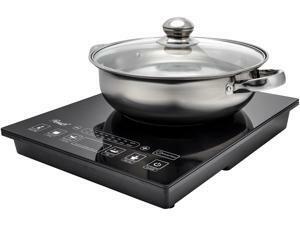 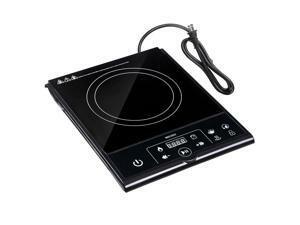 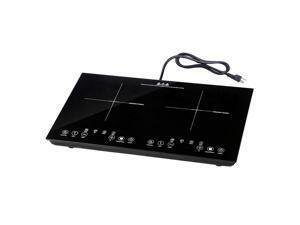 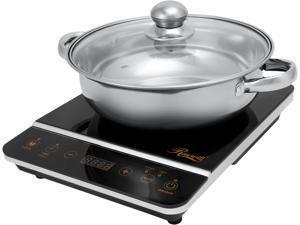 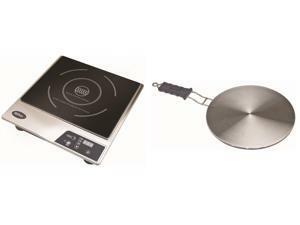 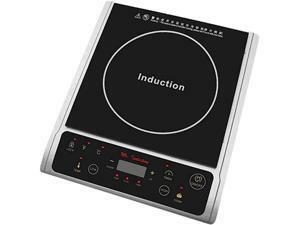 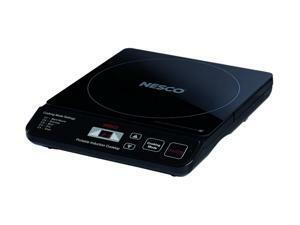 Features: Induction Cooker, 1500W with 430 Stainless Steel Hot Pot, Touch Control with 2 Hours Timer Setting. 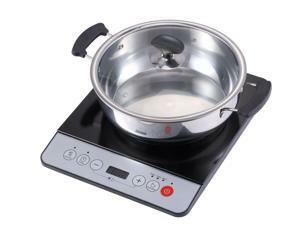 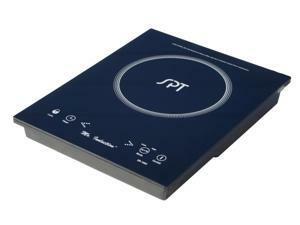 Portable Digital Induction Cooktop Countertop Burner Cooktop Cooker 1300w ?usa?